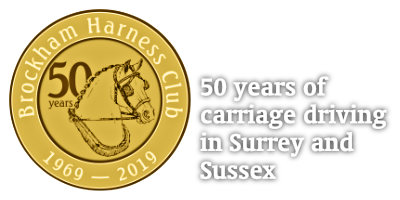 Brockham Harness Club is a voluntary organisation with no paid employees that promotes carriage driving and carriage driving events in Surrey and Sussex. The Club is affiliated to British Carriagedriving. The Club recognises that when organising and running events, the safety of its members, supporters and the public is of great importance. Expects all its members to show consideration for matters of safety, relating to both themselves and others, at all Club events, and to comply with all reasonable requests relating to safety from Event Organisers. Ensures that Health and Safety considerations are always given priority in planning, designing, organising, running and participating in the activities of the Club. Has a safety officer on the Club committee who is responsible for coordinating safety within the club, acting as a point of contact within the club for external organisations on matters of safety and for promoting safety amongst the club members. Requires that all Club Event Organisers ensure that a safety risk assessment is completed prior to each event and expects that any resultant action points be implemented during the event. Requires that all new Club members undertake a safety assessment prior to being allowed to take part at their first Club event, unless they hold a recognised carriage driving qualification. Through its committee, regularly reviews matters relating to Health and Safety.